Why do you like WSD? Okay, another thread. Hopefully I can bring a bit life to this forum once more. What made you like Watership Down? What is so special, so interesting, so intriguing about this tale that made you join this forum? Regardless of which medium you prefer (the book, the movie, the series), there's a reason you came to this forum and signed up. Was it the characters? The allegorical meaning? The atmosphere? The writing? The plot? The setting? Or perhaps I'm being a bit too literary; was it the music? Was it the rabbit's culture? Was it the imagery? I'm interested, as others probably are too, in what us fans of the series see in the tale. You never know, perhaps we're all here for very different reasons. I found the language and beliefs intriguing. And the perspective gained from having it in a rabbit's simpler point of view is what really interested me. I love the stories of El-Ahairah, particularly El-Ahairah and the Black Rabbit of Inle and The Hole in the Sky That's why I also enjoyed Tales; I wasn't expecting a sequel necessarily, and I was happy that a good chunk was more from El-Ahairah. The book has a certain charm to it that's hard to explain, it feels...timeless. Like it doesn't matter when or where it took place, only that it did. There. I think that covers it...kinda...I guess. I saw this movie as a teenager and I liked its dark style and violence - and the title song! So I called me a Watership Down Fan (without reading the book). Then, I heard, that a series was produced. I was very curious, watched the series and I loved it. The series is better than the movie and simply the reason, why I'm such a Watership Down fan. And why is that so? The series reminds me to Animals of Farthing Wood, which was my favorite animated childhood-series. A group of animals was expelled from their home, so they search a new home, but they aren't welcome there. The score, the animation, the style is simply timeless (except from some things like the building workers maybe). And of course, there was the amazing soundtrack by Mike Batt! Then, I read the book. And what I found amazing was not only the main plot, but also the stories of El-ahrairah. I mean, you virtually have a book in a book. And "Tales" was a nice addition. And while reading the book, something happened, that doesn't happen often with adapted stories: After reading the book, I liked the series even more, because I recognized all the little details, the creators slipped into the series. So we have: A great story, a timeless series, a fantastic score. What's missing? Ah, right, the military touch. Something, that makes Watership Down unique (together with the tales of El-ahrairah) is the military style of the story with captains, defense troops, slaves etc. If it's truly possible to describe WSD without belittling what it has to offer, then here's what I've got. Firstly, it has a brilliant plot - it's clear that Adams is a very smart man, as the twists and turns the plot goes through are really neat, and neither enemy feels set up to fail by the author; both WSD and Efrafa seem strategic and smart. 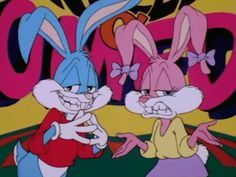 The characters are very unique and memorable, yet Adams did not go so far as to make each rabbit a cut-out of a generic character. All too many times, books and movies use the "Book of Generic Characters", scrolling through the lists and picking out characters like the Noble-and-Valiant Leader, or the Smart One, or the Bumbling-Yet-Charismatic One, or the Reserved-and-quiet-underdog, etc. Hazel, while being a sort of leader, is clearly just trying to do his best, and Bigwig isn't just a brute, he's a brute with a plan, and so on. There's also realistic flaws and fears that the characters have; Woundwart is insanely tyrannical and seemingly invincible, yet he is still struck by fear at the idea that there's a bigger rabbit than Bigwig in their fight at the end of the book/movie. I think the thing I most like about the book is the thematic elements. Overthinking things seems to be my specialty, though either way I found so many really good themes in the book, and by really good I mean not only applicable in real life, but also very... realistic. Themes like "shades of grey", mortality, authoritarianism versus democracy, and more are just very timely and visible in the world around us, which is a huge contrast between the setting of the book: bunnies in England. I could go on about this... but that's called rambling. Ah, that leads me to the irony. There's something so ironic about how serious the lives of these bunnies are. I purposely use the word "bunnies" instead of "rabbits" because it demonstrates the way bunnies are seen in our culture; as brainless and fluffy victims. It's a means of situational irony that contrasts the way we see rabbits outside and the way they are portrayed in the book: these intrepid warriors are fighting for their warrens, and by extension, their way of life. We can sit back and laugh at their insignificant affairs while we continue with the things that are, in principle, similar to what they do. As much as it's considered odd for a person my age to watch a children's TV series, I'll admit I really enjoyed it, especially the third season. The betrayal, and dependence on trust, and the tension and devotion between characters. It's a lot like Breaking Bad actually; a tale of knavery, secrecy, leadership and conflict. Everyone is trying to survive, and perhaps "siding by the winner" is not very brave or honest, but if it gets you food and security, it's the right move. Anyway, it seems WSD balanced the depressing tragedy with the constructive optimism, balanced the heroes vs villains idealism with the cynical "fifty shades" of feuding parties, and balanced the feeling of fantasy and realism. It was the best book I've read since... Generation X? 1984? And the movie was well done, capturing the essence of Adam's story in a gritty and harsh way. And of course, the series, while very different and much more politically correct, really picked up in the third season and extrapolated the story beyond the book in an excellent way. Oh, and WSD played dirty when the movie pulled an Art Garfunkel on me, I practically warship that man. His views are beautiful and everyone loves Watership Down in their own way. The military concept of General Woundworth is more a human thought, to give it greater presence of threat. Now, I like Watership Down? First of all I am a person with rabbit soul, I adore them for being adorable, pure and happy. One of many beautiful creatures of nature. Then I read the book and I loved it !. Richard Adams wrote a very smart and fantastic work on the journey of a group of rabbits in search of a new home. I read the book five times and each time I love it more. The animated series is for me a gift. It is another perspective of the work Watership Down, with many adventures, problems and challenges. I could not be happier. For that reason I love everything Watership Down, forever and ever. I love the book 'watership down' because I prefer books with animals in them instead of humans. I first ever heard of watership down when I was at my Godparents. They had the film of 'watership down' and I thought that the animated rabbits looked really beautiful and the scenery was drawn and made really well. I was kind of absorbed and intrigued by it. My Godfather's wife told me that the film was terrible sad and not really suitable for me to watch as I was but a mere child at that time. I was still intrigued to watch it someday though. Later, after a couple of years, I was at WH Smiths and found the film there. My mother brought it and I went home to watch it. Truth to say is that I had a sore throat at the time and was feeling ill so it was not a brilliant idea to watch the mysterious, dark and traumatising vision of Fiver's with the reason that it made me feel a lot, lot worse. So I left the film and didn't watch it for some time. Much later, I came back to it again, watched it and thoroughly enjoyed it. After that I read the book and found it less gory that the movie. After that I watched the TV series and made up two fan characters, Midnight and Elderberry and it is with Elderberry that I rp with now. By the way, a quick plea, can anyone please reply to my roleplay posts because iv'e posted so much rp and I'm longing for someone to reply so that I may rp with them! The characters are fantastic, and there's a character for everyone to love and relate to. There's a lot of description in the environments too, making the visual imagery fantastic and that really appeals to me. In general, I just really love the story. It really drew me in, something that immediately makes me realise how much I love something. The way it gripped me and touched my heart was important to me. As mentioned, I also really love the military style of the rabbits, and the detail behind the life of rabbits made it so believable. I love how it makes me feel all kinds of emotions, and I love the comradery and rivalry between the different rabbits involved. As for the series, I liked having another medium and a different spin on the story. It's a good way to enjoy Watership Down content without having to dive into the book or film again. And Bright Eyes will always touch my heart. It makes me tearful every single time I listen to it. More so when I used to not read/watch Watership Down for a while. Listening to the song transported me back into the world in an instant, making me remember how much I love it. I like when things make me think. I don't know where to start. I first watched the movie in when I was 14 after seeing it mentioned on Deviantart. After doing a quick google search, I downloaded it and put it on a disk. I only had a vague idea of what it was about: animated rabbits. Thats about it. The narrator began to talk. I feel like I'm watching a David Attenborough documentary. "I hope the entire film isn't like this" I thought to myself. But by the time the famous over quoted lines where being recited I was friggin hyped, "yeah you show that fox ela..ellrah..ellharah.....rabbit"
Then the opening credits began, I was instantly captured by the atmosphere. No bombastic opening song. No african dude shouting incoherent words at the top of his lungs. Just some relaxing music and beautiful watercolour scenery. Then it went all erie. And then Hazel. And then blood. And then creepy music. And then Bigwig. And then police rabbits. And then super detailed hand painted trees. And then a wild Lendri appeared. And then it went calm and relaxing again. OH CRAP DOG RUN. Strolling merrily through fields of cows. Oh look, a bean field. MOTHERFRITHING HAWK DAMN. Roses are red, Violet is dead. But look at the detail on them steel gates, so cool. Dawww look at sleepy Bigwig. ABORT MISSION RATS . You get the idea. No african dude shouting incoherent words at the top of his lungs. Haha, I'm guessing The Lion King didn't go over to well with you. This is like Watership Down in 5 minutes. Nah, I liked the Lion King. Its just that the simple, calm opening of Watership Down was refreshingly different. I liked Watership Down because, well, rabbits. Who doesn't like rabbits, right? Plus the story is captivating. I like books that drag me in, and WSD did that for me! Plus it has a great, friendly fandom, which I met first. I first watched the movie when I was about 13 it took me by surprise that it had talking animals but it doesn't take the rout of making the movie comidict or childish like many animal animated films. Animation is my favorite type of movies and the movie was beautiful. The film got me obsessed with watership down I then read the book and watched the film. I remember when I was reading water ship down I had the book on table then my dad seeing the book telling me he saw the movie long ago with some friends at the theater. He didn't know what it was thinking it would be about a ship, but it turned out to be an animated talking rabbit film. He said he remembers it being very sad.